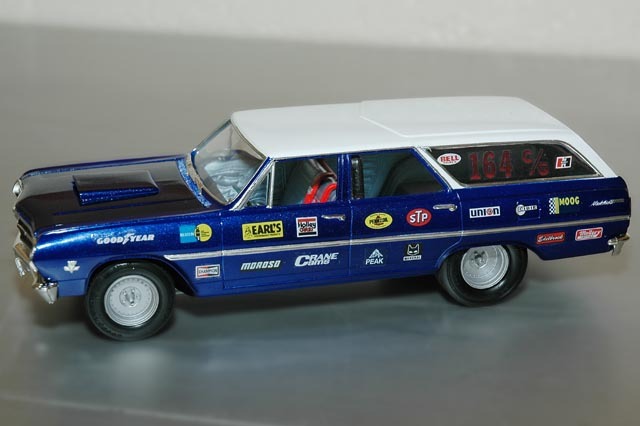 The wagon's two-tone body wears a coat of Tamiya Pure White and Racing Blue paints over Tamiya white primer. The sponsor decals came in the kit. The Interior is covered in Testors Custom Lacquer System Silver Blue Metallic.